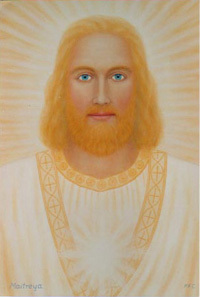 Ascended Masters are beings of light who have transcended their limitations of a physical body. These beings were humans living on the planet earth just like us. They experienced the sufferings in themselves, in others and their minds. With many trials, tests and a disciplined path back to god, they transcended into beings of love and light. This was the path of right living and of meditations, forgiveness and kindness, wisdom and love. They gained mastery over the limitations of the matter planes, balanced at least 51% of negative karma, and fulfilled their Dharma (Divine Plan). 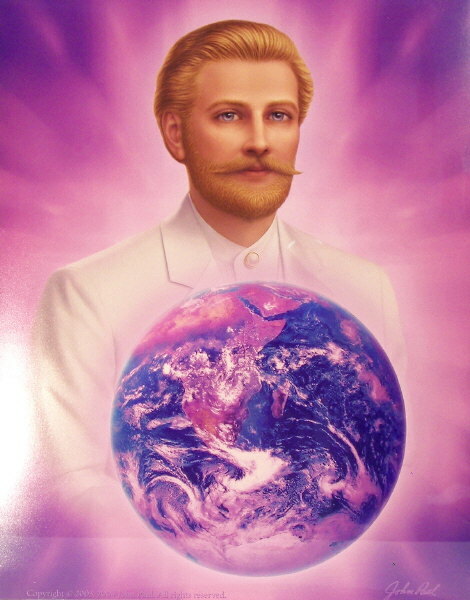 An Ascended Master, in such an understanding, has become God-like and a source of unconditional "Divine Love" to all life, and through the Ascension has united with his or her own "God Self," the "I AM Presence." The Masters still appear to many disciples and teach them the ways back to their pure selves, the I AM presence. It is said that when a student shows themselves disciplined in their search for god and their true selves, the masters will show themselves. It is the master that chooses the disciple. The masters are collectively called 'The white brotherhood'. 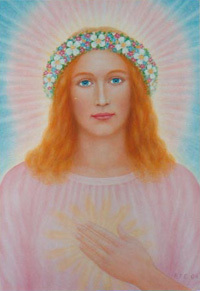 She is regarded as a Ray 7 Master, and together with Master Rakoczy (St. Germain), she wields the violet transmuting and purifying energy and Flame. This Ray is becoming a rather major energy during the Aquarian Age, where a more organized and humanitarian society will manifest on Earth. In the East Kwan Yin is a very popular and revered Goddess, another World Mother. 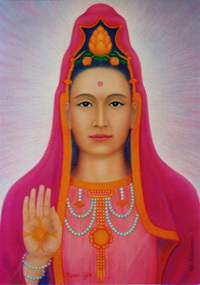 She helps to build East – West connections and mutual understanding. Often the Masters are being named by an abbreviation, like Morya = M. Kuthumi = K.H. Master K.H. is another well known member of the Hierarchy, all over the World. 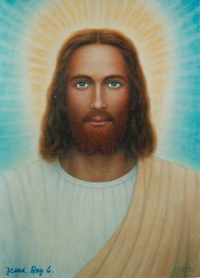 He is a great Teacher, in unity with the Christ, and He is engaged in mixing eastern and western thought and religion. He has inspired the invention of several musical instruments, through the centuries, especially the organ. “I stimulate The Divine in all its Aspects”. She is very generous and unselfish. Works with healing. Supports and guides everyone on the Path. Is pouring out from a very loving source but with some firmness and determination. Emphasizes the higher Divine Law. ”Thy will be done!” Takes care of and heals everyone during the transformation process. Stimulates unconditional love. Uses a rose as symbol. As the giver of teachings which were turned into a religion for the Piscean Age, with its dominant Ray 6, being one of the Masters in the Hierarchy, He has been figuring as being on Ray 6, but really He is on all Rays. Jesus is well known in the Bible history, f.ex. as Joshua and later Jeshua, who took the third initiation. 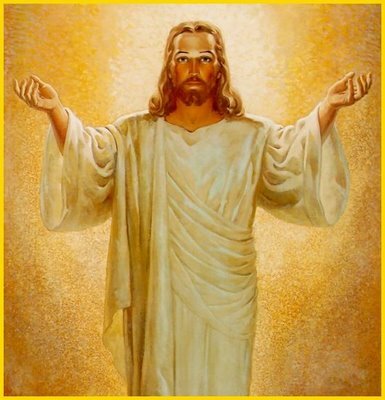 Master Jesus is specially known for two great sacrifices, that He for three years let the Christ use His body, and for the great renunciation, characteristic of the fourth initiation. As Appollonius of Tyana, He took the fifth and became a Master. At the actual crucifixion of the two in one body, the Christ managed to break through to a level where Divine Will reigns supreme, and the downpouring of Light onto Earth was immense. So, for 2000 years it has been very busy for the two opposing Forces, of Light and Darkness. The Office is named in various languages and of course embraces the entire World, not only the Christian parts. For thousands of years. 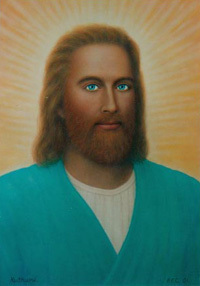 He has been sending disciples out into the World, founding teachings that suited the various peoples through the ages. When the founders had gone, priesthoods appeared and changed the teachings into religions which made (and still make) them very powerful. But the Christ is the Great Lord of Love and Wisdom, and daily He pours His blessings out over the World. He is Chief of the Masters, not of Shamballa. The Manu provides the forms, the bodies, and Christ seeks to energize the consciousness and Spirit aspect within the form. Ray 3 of Active Intelligence. “The Venetian” refers to an Italian lifetime where He was the artist painter Paolo Veronese. On Ray 3 there is enormous activity and very many connections. Education, Justice, Art, literature and Trade are some of the Fields of work. Master Paul’s colours are emerald green and peach pink. I am an etheric being from many, many planets, stars and incarnations. However, for billions of years, I have taken on one project, the project of populating many planets with "Star Seed", and the project of bringing those planets through evolution. Earth is not the only one! Still it was myself, among others, who brought life to Earth in the very beginning and I did this, as did others, mainly through intention and through the process of creation relative to the human being. Now, because the Earth is out of balance and because I have an interest in the people, I come to assist at this time, to see her through the evolution into the Fifth Dimension. Gautama Buddha was the great Teacher of Wisdom and Realism. For many years He has been officiating at the old Wesak Festival in the East, where He channeled a dual stream of power and goodwill from the Planetary Logos and, more directed, from Sanat Kumara. During the years 1936 – 43, at the annual Wesak fullmoons (in Taurus), an intense effort was put into making the world servers in East and West, more conscious about the transfer of power, and more co-operative in the distribution of Goodwill throughout the World. Since then, Wesak has become more known in the West, and is now becoming one of the annual festivals celebrated. But much has been changed since the old descriptions, and the transformation and the distribution of Goodwill and planetary energy, is now far more direct, and links up with extra planetary sources of reassuring Divine Love and Power. “I bridge Heaven and Earth”. Comes from Venus. Stimulates the contact between the Deva-evolution and Mankind. Her energy is like the light reflected in a crystal with many facets, radiating in all directions. Intensifies and inspires the beauty in art and music. Assists all students on the Spiritual Path. Ray 2 of Love and wisdom. Djwhal Khul, the Tibetan, is another Master on Ray 2. 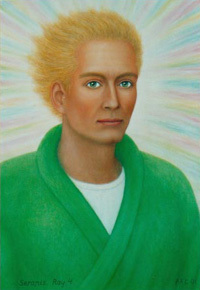 He looks older than the other known Masters, because He has been in the same body in which He took the fifth initiation in 1875. Most of the other Adepts, having taken the fifth in an earlier incarnation, do not age. D.K. is very devoted to K.H. and is overly busy teaching many disciples and World servers, and He works with healing, and inspires philanthropic movements. He dictated a large part of the Secret Doctrine, and the “Alice Bailey books”. Mary Magdalene is another Divine Mother. She has got vehicles (bodies) on several higher levels, and She is also attached to some holy places. So, there is good use of helpers, for wide distribution of Her great Love, either from where you live, or by going to places, to obtain the connection. Energies from Divine Mothers, flow not only to humans, but to all Nature and Its beings. Her primary purpose is to channel feminine energy to planet Earth. 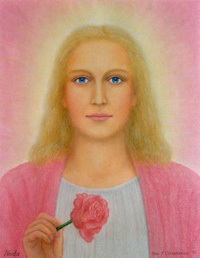 A job she shares with several Divine Mothers each working with different aspects of this energy. In an earlier incarnation Master Hilarion was Paul of Tarsus. Later He gave out the treatise “Light on the Path”. On Ray 5, the main task is building bridge between physics and metaphysics. 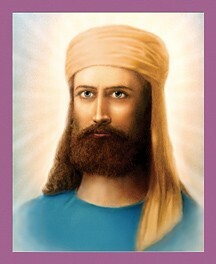 Master Hilarion gives attention to the development of genuine intuition and higher psychism. She is chiefly known in Christianity as the Mother of Jesus, and most likely She has been other great women through History. She has been holding the Office as World Mother for long enough, to begin moving up into a higher office/service along the Divine Mother-line. The Master Portia is likely to become the next Earth World Mother. 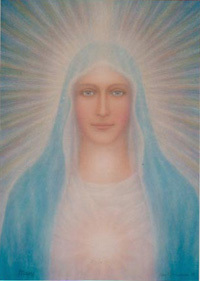 Mary often appears clothed in a blue mantle with sparkle, symbolic of the starry Sky, or of the Sea. She is sometimes called “Star of the Sea”. Guardian Angels and Angels of Birth, assisting incarnating egos and the mothers giving birth.Universally, the Mother contains many aspects, and some religions have invented a number of seemingly entified qualities or virtues of the One Mother. 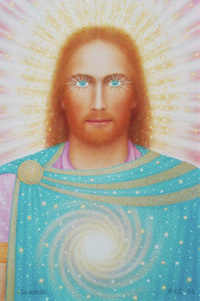 Sananda is doing His tasks as one of many and various beings, who serve the Solar Logos in many ways, at processes which are inscrutable to us. Not least our planet, from the Logos to the lowliest being, benefits from this service and interplay. 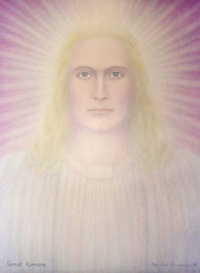 Sananda may be regarded as One of the Liberators, acting thru all who are able to receive the energies and incentives. Long ago, Sanskrit names were attached to the Greatest Beings on Earth. “Sana” means very old, ancient, meaning very lofty, almost eternal. Thus “Sanat Kumara” means “The eternal, virgin Youth and Lord of Flame”. Also known as Merddin, Myrddin, Lerlyn and Emrys, and Saint Germain . 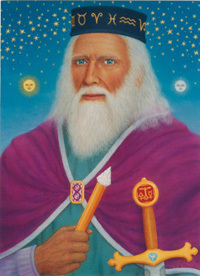 Merlin represents the old sage-wizard archetype, He’s known as a powerful magician, a spiritual teacher and a psychic visionary. 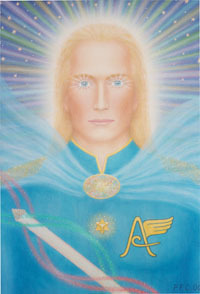 Merlin is happy to give lightworkers “A magical leg up” however, he always cautions that we use our “inner wizards” in the name of spiritual service and not for self gain. Sanat Kumara and a few other entities who are now close personal helpers to the Planetary Logos, have been through ages of schooling in identifying and directing cosmic-psychic bands of energies and rays, in color/sound. 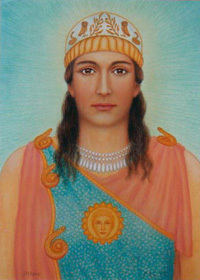 They, the Kumaras, may be the Ones Who will take up the work of becoming the Planetary Logoi of the next Solar System. There is a huge gap in levels of consciousness between The Lord of the World and the Rulers of the three departments of the Hierarchy of Masters. But this gap is being bridged by various beings Who act as liaison officers. He has for a long time been the Leader or Chohan of Ray 7, of Ceremonial Magic, but from ca. 1950 he has been placed at this very busy Office, which is chiefly on Ray 3, but which also guides the Rays 4,5,6 and 7, for the all-round development of man the thinker. Several of Master R’s earlier appearances are known, the Count of St. Germain, Roger Bacon and Francis Bacon, chiefly. 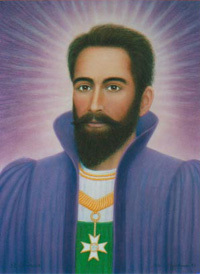 Master R. works in unity with the Manu and the Christ, and with very many assistants, and with several orders of angels. The work of making real civilization is overly hard, as you see. The Mahachohan, or so he was called in India, where he most often appeared. More exactly, the Sanskrit title refers to “The Lord of Civilization”. He was the second of the three who to this day, have been, or are in charge of this very busy department, of creating Man the thinker, of the fifth Race, by effects of Rays 3-7, chiefly. Having been released into Higher Evolution in ca. 1950, the “old” Mahachohan has gradually left this office for Master Rakoczy. But the strain is getting so hard that a new and unusual agreement has been made, which has resulted in the return of this former Lord of Civilization, full time and at full power. He now embraces the whole World with his aura, directing hosts of various angels/devas. He may remain on Earth until the planned degree of all-round development in the present human race is achieved. 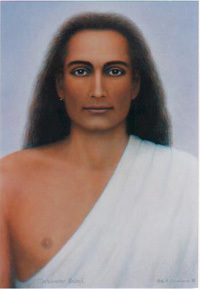 Many Indian gurus claim the title “Babaji”, which means honored Father. 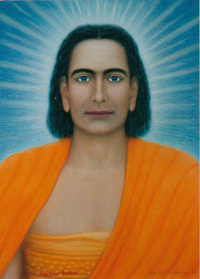 But there is or was only one Mahavatar Babaji. 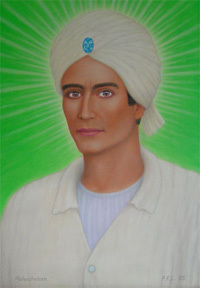 He is mentioned in the book “Autobiography of a Yogi”, and He appeared in India, for maybe 150 years ago, where He and a small group of disciples moved about, teleporting themselves from place to place. 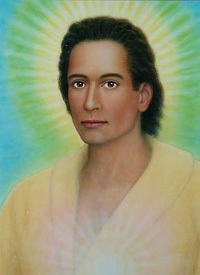 Babaji is known as the deathless Avatar. He made a promise to be present on earth with a body until every one of god's children ascend. He has had appeared in different bodies throughout the ages. 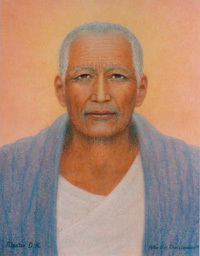 He is the creator of Kriya Yoga. A great spiritual Teacher. 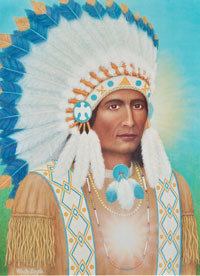 He is known and recognized by having the appearance of a red Indian, which is of the past, and He is not promoting shamanism. He is not a member of the Hierarchy, but He is having a niche attached to it. He has developed a nice and popular Ray 2 – like teaching. Serapis is often called “the Egyptian” because of His contribution to religion and politic in old Egypt. 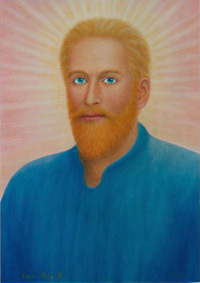 Now His main effort is into the deva or angelic evolution, to make possible the great revelations in music and painting, which can be achieved by more angelic influence. Goddess of Wisdom, was more prominent and much adored in ancient Greece, in the Minoic culture. 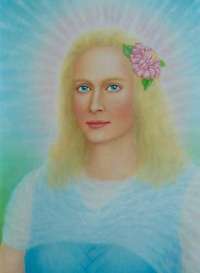 She has now again drawn close to humankind and is helping the growth of mind and guiding the fusion of lower and higher Self.